Mom volunteered for 25 years at the Ottawa Heart Institute where she gave time and comfort to families facing difficult and life changing surgeries. She chose to help other families following dad’s heart surgery because she knew the stress, anxiety and potential heartbreak. Our family appreciates the dedication, comfort and compassion the nursing staff at the Queensway Carleton provided through her final days. We are extremely grateful to our sister, Sharon for looking after mom’s personal, medical, dental and other needs as she moved from independent to assisted living over the last number of years. The family would like to invite and appreciate friends joining them at a Mass of Christian Funeral at St. Patrick’s Parish Fallowfield, 15 Steeple Hill Cres. Nepean on Friday, April 26, 2019. The family will receive friends from 10 a.m. until commencement of the Mass at 11 a.m..� A time of refreshment and fellowship will follow in the Parish Hall. Internment will take place at Notre Dame Cemetery later in the spring. In lieu of flowers, donations in memory of Lorraine may be made to the University of Ottawa Heart Institute. the Canadian Cancer Society . Suddenly after a long illness, Bob passed away at the age of 72. Predeceased by his mother, Anne Ricard (nee Graziano). He leaves behind his wife, Bonnie Scharfe. Will be missed by his cousins in British Columbia, Ottawa and Hamilton. Special thanks to Dr. Brigham, Yetta and all the nursing staff at The Ottawa Civic hospital for the wonderful care that they gave Bob and I during this trying time. Each one of you is my angel. At Bob's request, there will be no funeral. Those wishing to remember Bob, donations to Parkinson's Canada or your favourite charity would be appreciated. 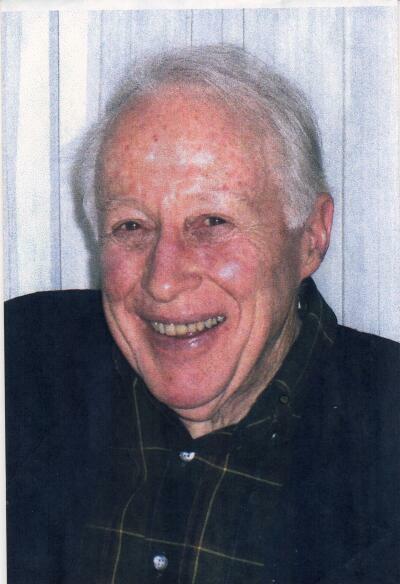 With sadness we announce Jim�s peaceful passing on March 20, 2019 at age 80 years. Jim Carriere, beloved husband and best friend of Anne (n�e Copeland). Son of the late Emmett Carriere and Anne Villeneuve. Survived by his sisters Carolyn Knight and Catherine Carriere. Will be fondly remembered by many nieces and nephews. The family would appreciate friends joining them at a memorial Funeral Mass at St George�s Parish, 415 Piccadilly Ave. on Friday, March 29 at 11 AM. A time of refreshment and fellowship will follow in the Parish hall. Interment Notre Dame Cemetery in the Spring. In lieu of flowers, donations may be made in Jim�s memory to the MS Society or a charity of choice. It is with heavy hearts we announce the passing of Alan Davis, 67, on February 27, 2019. Alan was born in Liverpool, England and was quite proud of his British heritage. Alan had an adventurous spirit and heard the call of the sea at a young age. He spent seven years with the Royal Navy until he immigrated to Canada where he joined the Reserves. He loved to tinker on his boat or in his home workshop. Passed away at home on Feb. 28, 2019 at the age of 71 years. Son of Edith (Clarke) Long and Edwin Long (both deceased). Predeceased by his brother Peter and brother-in-law Roy Weatherdon. Dear brother of Diane Weatherdon-Sader (Don), Joan Pratt and Debbie Hennessy (Terry). Fondly remembered by nieces, nephews and cousins. Michael's ashes will be buried in the spring. �His was a fragile spirit, now at peace. 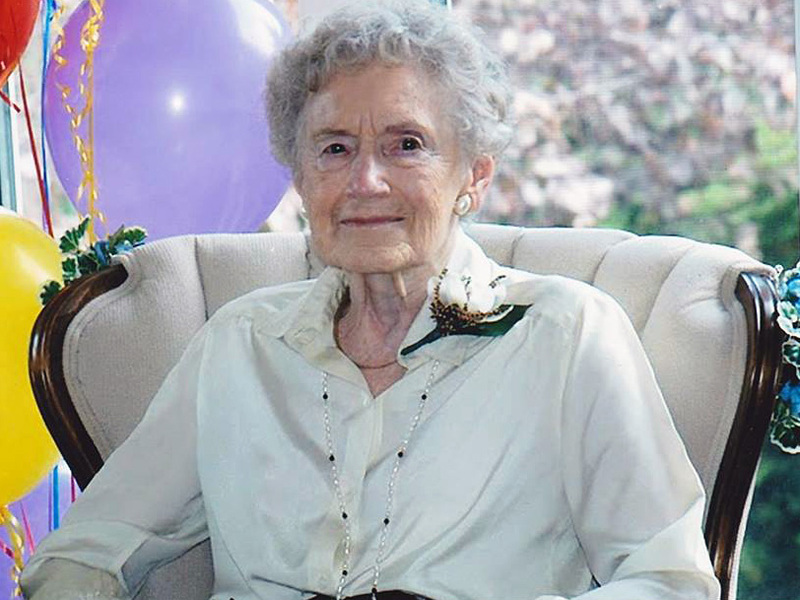 Passed away peacefully with her family by her side on Feb. 23, 2019, at Fairview Manor in Almonte at age 90. Beloved wife of the late Milton (Middy) Belaire. Loving mother of Diane (Ken Skwarok) and Judy (Bruce Wood). Cherised grandmother of Nikolas, Natasha and Michael (Alana) and great grandchild, George. Survived by brother, Michael Morris (Terry). Predeceased by her sister Christine Patafie. Fondly remembered by special friend, Bob Gervais. A private family burial will take place in the spring. Peacefully in hospital with his loving family by his side on Saturday, February 24th, 2019 at the age of 81. Beloved husband of Myrna (née Schindler). Dear father of Brad (Joanne), Rick (Rosemary), Mark (Lisa) and Caroline (Dylan). Cherished grandfather of Erin (Dan), Mike, Brandon, Hayley, Jase, Jackson and Sophie; and great grandfather to Emily and Sara. Survived by his sister Fran (Pat Kennedy). Predeceased by his brother Peter in 1946. Vince was born in Rexton, NB on Sept 2, 1937. Although his 36 year career in the Canadian Armed Forces took him to many parts of Canada, he remained fiercely proud of his Maritime roots. Friends are invited to join the family for Mass on Friday, March 1, 2019 at Good Shepherd Parish (3092 Innes Road), at 11 AM. A time of refreshment & fellowship will follow in the Church Hall. Arrangements entrusted to The Whelan Funeral Home, tel. 613.233-1488. The Ottawa Heart Institute where he was cared for in his final days. Peacefully in hospital on Saturday, February 23, 2019 in her 93rd year. Milica (n�e Susnjar) beloved wife of the late Milenko Dragisic. Loving mother of Slavica Dragisic and the late Milena Blanchard. Dearest �Nana� to her grandchildren Matthew (Julie), Andrea and Robin; and beloved great grandchildren Ella and Chloe. A Private family service is being held. Interment to take place at Beechwood Cemetery. Donations in memory to the Montfort Hospital Foundation greatly appreciated by the family. Ann left us on February 12, 2019 at the Ottawa General Hospital following major surgery. Born in Wrentham, Suffolk, England, she was predeceased by her parents May Mumford and Charles V. Spall, and stepmother, Dorothy. Ann leaves her loving husband of 55 years, Clifford, her children Karen (Serge Lafreni�re), Eric (Razieh Pourhasan), and Carl; her grandchildren Jeremy and Sarah Lafreni�re, and Daniel and Sophie Adams. She also leaves her beloved sister, Mary Elizabeth (Betty) Wall, and nephews Charles, Michael and David. Cousins and her many, many close friends in England, Ireland and Canada will surely miss her. Ann trained as a Diagnostic Radiographer at Kings� College Hospital in London, England, and worked in several hospitals in London, Montreal, and Ottawa. She retired from the Civic Hospital in 1996. In retirement, her major interests were her Tai Chi group and the British Isles Family History Society [Genealogy] where she made many good friends. Family and friends may pay their respects at Whelan Funeral Home, 515 Cooper Street (between Bay & Lyon) Ottawa, on Sunday, February 17, from 2 to 4 and 7 to 9 PM. A Funeral Mass will be celebrated at St. Augustine Roman Catholic Church, 1060 Baseline Road, Ottawa, at 11 AM on Monday, February 18, 2019. A recption will follow in the parish hall. In lieu of flowers Ann requested that donations be made to The Ottawa Hospital Foundation Cancer Research/ or the University of Ottawa Heart Institute. Peacefully with family praying by her side on Friday, February 8, 2019 at 92 years of age. Beloved wife of the late Mervin Bell. Loving mother of Mark (Theresa) and Marlene Bradley (Alan). Predeceased by her son, Floyd Bell. Cherished grandmother of Joachim and Anastasia, Lisa Maria Rolland (Trevor) and Loretta (Bradley), Adam Bradley (Amanda) and Kelsey Brown (Marshall). Great-grandmother of Keira and Reagan Bradley and Jackson and Quinn Rolland. Mom was the baby and the last surviving child born to Mark Monaghan and Theresa Lavell. 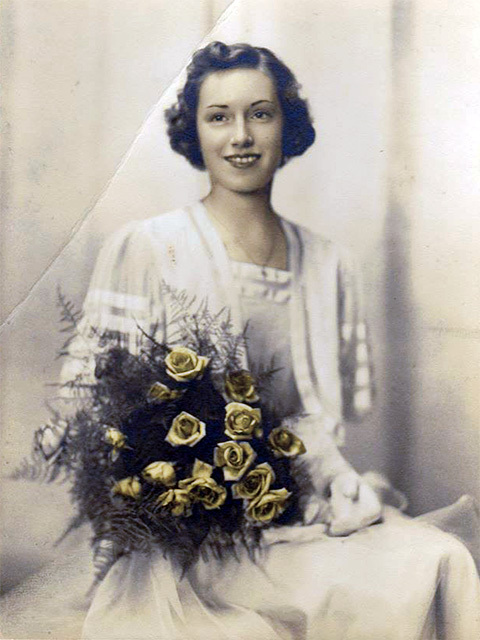 She is survived by her sisters-in-law, Geraldine (late Deacon Ted Lindsay), Mary (late Benedict Allen), Mildred (late Earl Bean), Grace (late Bill Reid), Eileen (late Carl Gibbons), Joan (late Emmond Bell), Ivy (late Frank Bell) and Shirley Ann (Edward Tanner), along with many nephews and nieces. Friends are invited to attend a Mass of Christian Burial that will be held at 10:00 a.m. on Wednesday, February 13 at St. Patrick�s Basilica, 281 Nepean St., corner of Kent. Interment to follow at St. Malachy�s Cemetery, Mayo, QC in the Spring. In lieu of flowers, donations to a charity of your choice, or, to Our Lady of Knock Shrine Society, 3889 Route 315, Mayo Quebec, J8L 3Z8 would be appreciated. We would also like to thank the Doctors and Nurses at the Montfort Hospital for the amazing care they gave Mom. A witty, charming and affable soul. Suddenly on Monday, January 28, 2019 in his 63rd year. Greg Richards, beloved partner of the late Diana Ellis. Dear father of Jessie (Nick) and Calvin (Jennifer). Beloved grandfather to newly born grandaughter Charlotte. Son of the late Gerald Richards and Isabelle MacLeod. Dear brother of Sheila Bourgon (John). Will be fondly remembered by his former spouse Laurie Richards (Sam) and many friends and associates. Friends are invited to pay respects to the family at The Whelan Funeral Home, 515 Cooper St. (between Bay & Lyon) on Friday, February 8, 2019 from 4 until 8 PM. There will not be a service, however all are welcome to share memories and stories of Greg and celebrate his life. In lieu of flowers a donation to a charity of your choice would be appreciated by the family. Margaret Douglas Stevenson (born May 23, 1932 in Edmonton, Alberta) passed away suddenly on January 27, 2019 at The Monfort Hospital at the age of 86. She was a passionate advocate for human rights, a pioneer for women in her field, and a sucker for anything remotely cat related. A funeral will not be held, as per her request. In lieu of flowers, donations to The Ottawa Humane Society or Amnesty International would be greatly appreciated. She leaves behind a niece, Jeanne Cunningham, and many beloved friends. Suddenly on Thursday, January 17, 2019 in her 81st year. Judy Smith (n�e Teakles), beloved wife and best friend of Roy. Loving mother of Kerry (Alan Ritchie) and Tyler (Jacalyn n�e MacDonnell). Dear Gramma of Erin, Cameron, Aidan and Hayley. Survived by her sister Catherine (Charlie Higgins). Missed by many nieces, nephews and life long friends in Ottawa, Perth, Westport, Tucson, London England and across Ontario & Western Canada. She will be fondly remembered as a wonderful, loving, kind, generous person with a great sense of humour. A visitation will be held for friends to pay their respects to the family at the Ottawa Event and Conference Centre, 200 Coventry Road (Room 106 F/G), on Friday, February 1, 2019 from 1 to 3 PM and 6 to 8 PM. A Celebration of Life will be held on Saturday, February 2, 2019 at 1 PM at the same location. In lieu of flowers, donations in memory to a charity close to your own heart would be greatly appreciated. Peacefully on Saturday, January 19, 2019 in his 98th year. Jack Kinsella, loving husband of Kathleen "Kay" Kinsella (n�e Roach). Dear father of Jane (Jim) of Calgary, Alberta and Bill (Valerie) of Ottawa and the late Mary Ann Nooyen (Anton). Cherished grandfather of Carla (Terry) and dear great grandchildren Callie and Jackson. Son of the late James B. Kinsella and Beatrice (n�e Burnett). Survived by his sister Mary �Mimi� Pollock and predeceased by brother William Kinsella; sisters Margaret �Peggy� O�Neill, Sister Elizabeth Ann Kinsella g.s.i.c., and Sister Bernadette Kinsella g.s.i.c. Will be lovingly remembered by many nieces and nephews who will fondly remember �Uncle Tony�! A friend to all and an enemy of none! Co- Founder of the Ottawa 67's. A great coach in all our lives. Thanks Again to the Miles, O'Neils, Pollock families. Friends are invited to join the family for a Mass of Christian Funeral on Friday, January 25, 2019 at St Basil�s Church (940 Rex Ave.) at 10 AM. A time of refreshment & Fellowship will follow in the Church Hall. Suddenly on Wednesday, January 9, 2019 in his 57th year. James Strate, loving father of Jamin (Erin) of Oshawa, ON and Dakota (Landon) of Toronto, ON. Former spouse of Maureen Munro. Son of the late Mike & Beth Strate (n�e Romeril) of Edmonton. Friends are invited to join the family of James, and help celebrate his life on Sunday, January 13, 2019 at The Wellington Gastro Pub, 1325 Wellington St W. from 12 until 3 PM. Donations in memory to a charity of ones choice in James� name, greatly appreciated by the family. Passed away peacefully on January 6, 2019 at the age of 95 years. Mary (n�e Taksery) loving wife of the late Ferris Beauchamp. Caring mother to her 4 children George, Paul, Peter and Mark (Ann). Dear grandmother of Robyn, Linden, Samantha, Stephanie, Samuel, Megan, Andrew, Breanne and Bryson. Great Grandmother to Lyla, Paisley, Bower and Charlotte. Will be sadly missed by her sister Janet (Khouri) nieces, nephews, in-laws and friends. Predeceased by siblings Freda, Demittry and Lillian. The family would like to thank June, Luc and all the staff at Extendicare/Starwood for their wonderful care and compassion. Friends may pay their respects to the family at The Whelan Funeral Home, 515 Cooper St. (between Bay and Lyon) on Friday, January 18, 2019 from 4 until 8 pm. Mass of Christian burial will be held on Saturday, January 19, 2019 at St. Elias Antiochian Orthodox Cathedral for service at 1 pm. Interment to follow at the Pinecrest Cemetery. Passed away peacefully on Sunday, January 6, 2019 at the age of 90 years. Valerian John D�Souza, beloved husband of Rita Philomena D�Souza. Loving father of Brian (Claudette), Brenda (Anil D�Souza) and Clyde (Dr. Shaila). Proud Grandfather of Calvin, Carlton, Natasha, Andrew and Sean. Survived by his dear sister Grace Fernandes. Friends are invited to join the family at a Mass of Christian Funeral on Saturday, January 12, 2019 at St. Maurice Parish (Perry & Meadowlands), service time 1:30 pm. Arrangements entrusted to the Whelan Funeral Home, tel. 613.233-1488. In memory, donations to Cancer Centre Ottawa would be greatly appreciated by the family. Copyright 2019. Whelan Funeral Home Ltd.